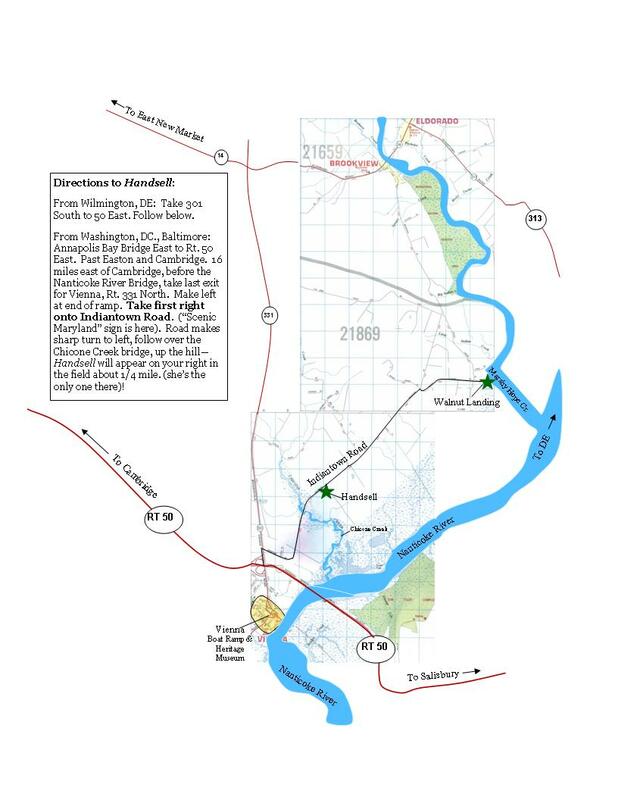 Nanticoke Historic Preservation Alliance holds the Nanticoke River Jamboree every year at Handsell, listed on the National Register of Historic Places in Dorchester County, Maryland. Nanticoke River Jamboree “Games Replayed” returned in 2018. We revisited “Games Replayed” and had another quality Living History event. Below is some information on the 2018 Jamboree, now past. Please join us again on Saturday October 12, 2019 for the NEXT Nanticoke River Jamboree at Handsell. This year we have several new and amazing living history interpreters!! 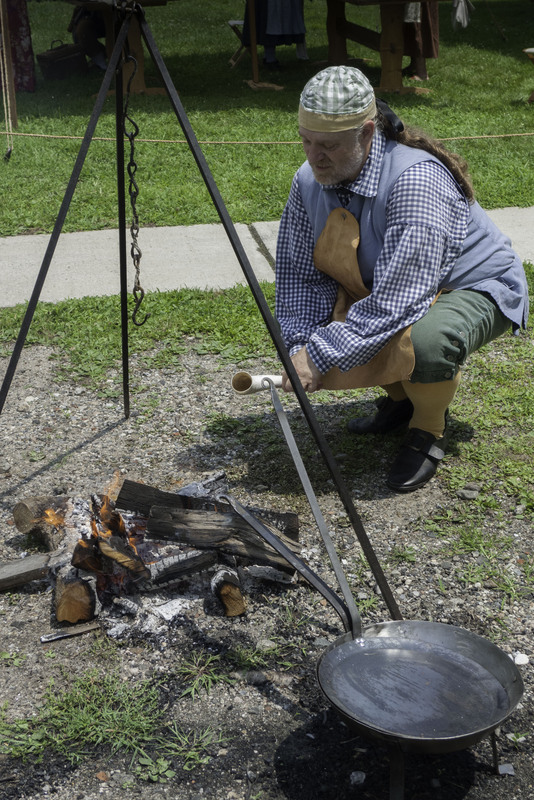 Featured in the restored Handsell Kitchen: Jerome Bias, a living history interpreter portraying an enslaved cook. Mr. Bias will discuss how African traditions and food preparation influenced early American cooking and talk about the life of enslaved people. New this year is Rachel O’Connell, who trained with and served as Assistant to the “Natural Philosopher”, Dean Howarth, O’Connell and will demonstrate many favorite 18th century activities such as: trapball, croquet, Game of Graces (hoop toss), Shut the box (dice game), lawn bowling, mirror box, Newtons Inertia toy, tablecloth pull trick, friction tug o war, bed of nails, and singing wine glasses. A flutist, Ron has been fortunate enough to discover an extremely varied, rich and deep path as a musician and Native American flute player. He has performed with line ups of incredibly gifted musicians, dancers, writers and other artists in a great variety of settings ranging from powwow grounds to club to concert hall. Paul Gasparo, Leather and Horn Wares and MANY MANY more craftspeople! Paul Gasparo demonstrates over an open fire and has created lead dice for GAMES! Representatives from the Pocomoke Indian Nation and other tribal groups from the Eastern Shore Longhouse at Handsell. 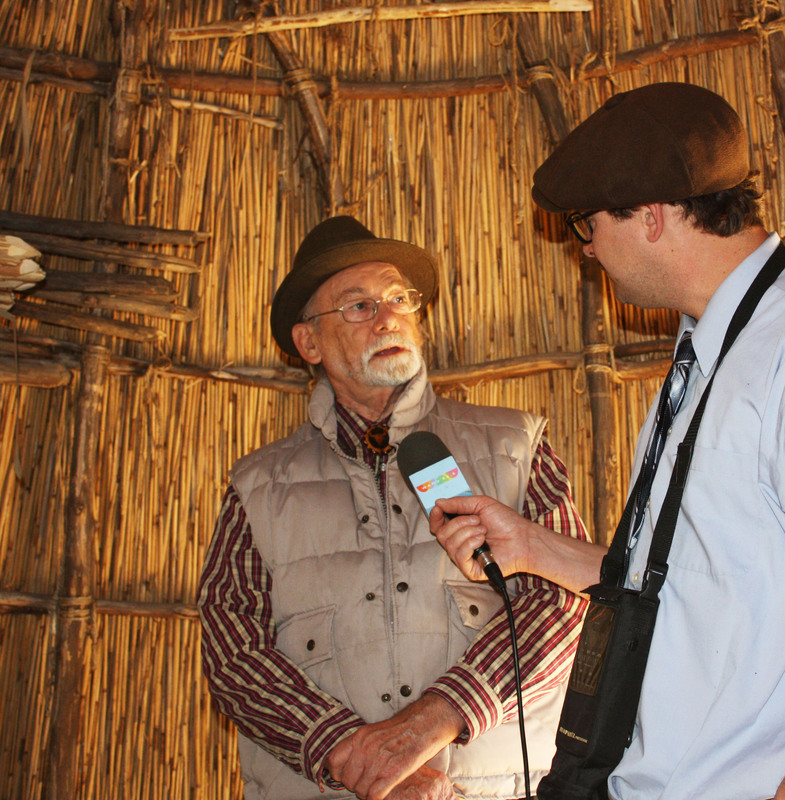 Come meet the men who constructed this amazing native lodge and hear about the methods used to build it. Walk through this full-size native dwelling house–the children MUST see this! Meet Chief Norris Howard from the Pocomoke Indian Nation and his family. 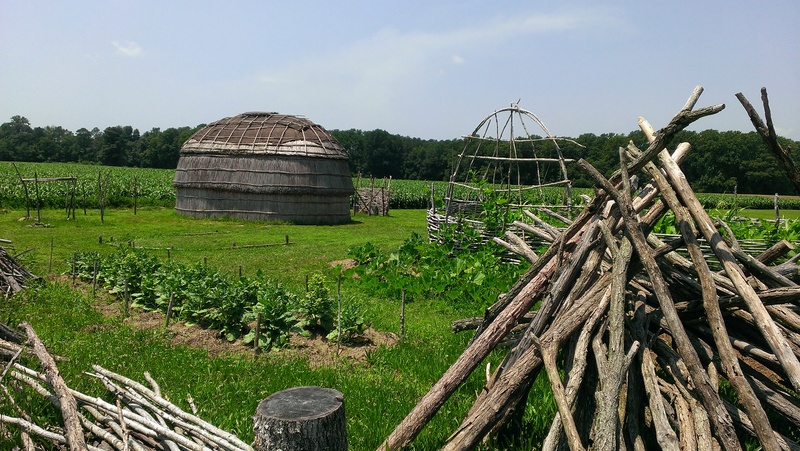 Hear the story of the Native People of DelMarVa. Chief Howard discusses history of the Native People with a Radio reporter. Come see the preserved Handsell Kitchen at the Jamboree! 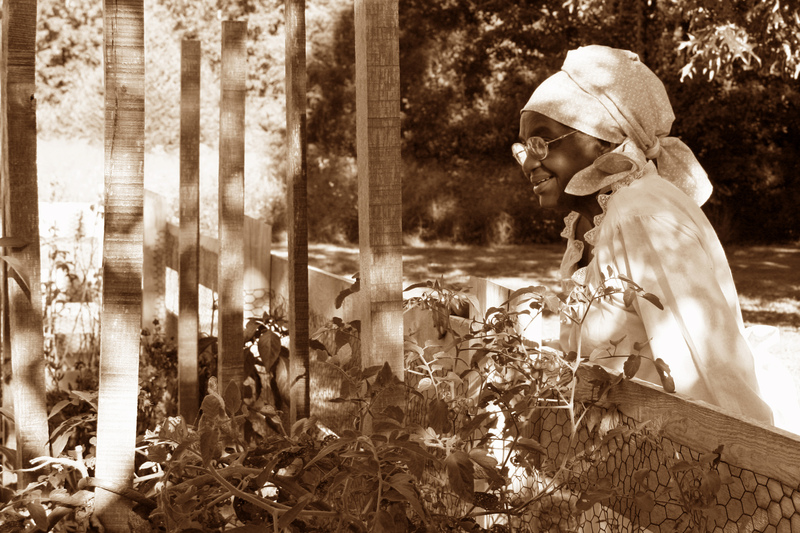 Meet Shirley Jackson, descendant of Charles Jackson who was born a slave in 1814 near Vienna. Also “Voices of the Indiantown”, with Audio and Visual interviews displayed on a computer of descendants of slaves and sharecroppers of the Indiantown area. See the newly restored Cooking fireplace, floor and interpretive signage. Shirley Jackson re enacting one of her ancestors. 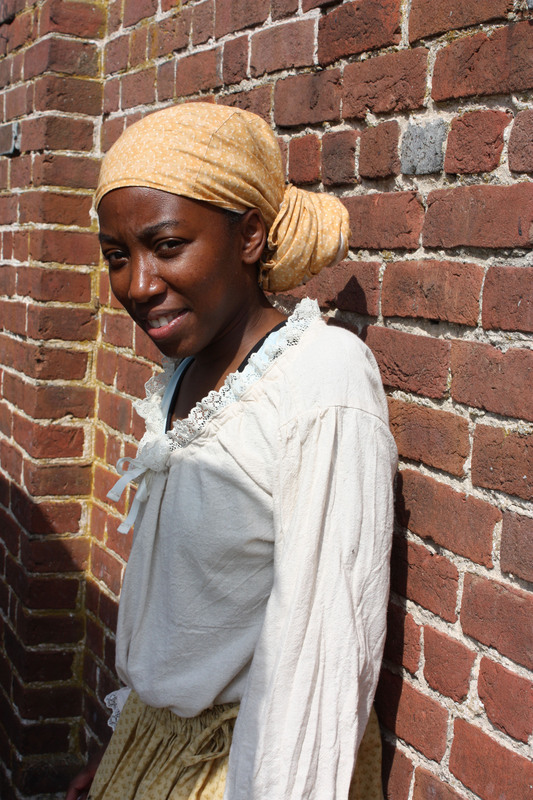 Angela Pinder as “Rachel Jackson”, house servant for the Samuel Thompson family, 1870. *** Food will be supplied by “2 Chicks Catering”, a truck full of Eastern Shore favorites including crabcake sandwiched! Have a bite to eat between visits to all our living history presentations. Admission of $4 per person with Children under 12 FREE helps defray our costs and bring this great event to Dorchester County!